Passion fruit (Passiflora edulis) is a vine species of passion flower native to Brazil, Paraguay and Argentina. The incredibly succulent fruit, which is protected by a thick skin, boasts a deliciously intense tropical flavour, comparable to a combination of lemon, guava and pineapple. Passion fruit powder is made ​​by cutting the fruit in half, scooping out the flesh, and then drying at low temperatures to retain an optimum number of nutrients. Passion fruit powder is a tropical fruit powder boasting a deliciously invigorating, sweet and sour flavour. 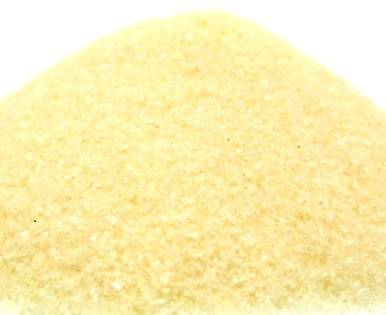 Passion fruit powder adds a yummy tropical sweet and sour flavour to smoothies. In addition to being very tasty, passion fruit offers many vital nutrients along with vitamins A and C, as well as a good source of potassium. Passion fruit is also a very good source of fibre, including low-methoxyl pectin. The fibre in passion fruit may help maintain digestive and intestinal health. Mix it into your choice of smoothies, juices and protein drinks or add it to desserts, fruit salads and raw chocolate recipes for a delicious tropical twist.